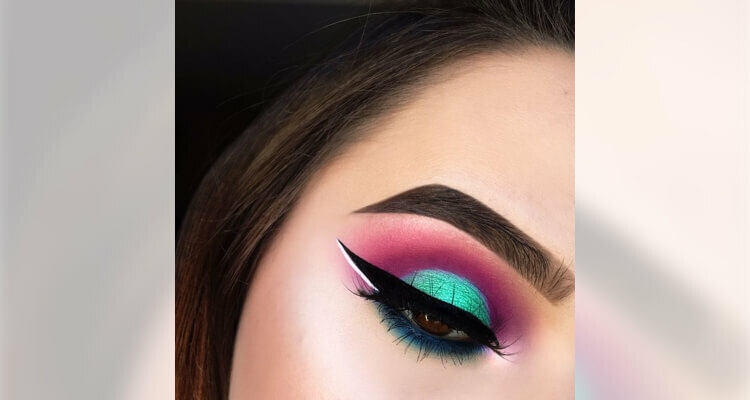 Among the various beauty trends like rainbow highlighter, glitter hair and glossy lids, we have one that has held its own and shows no signs of dying down- the dual or doube tone eyeshadow look. 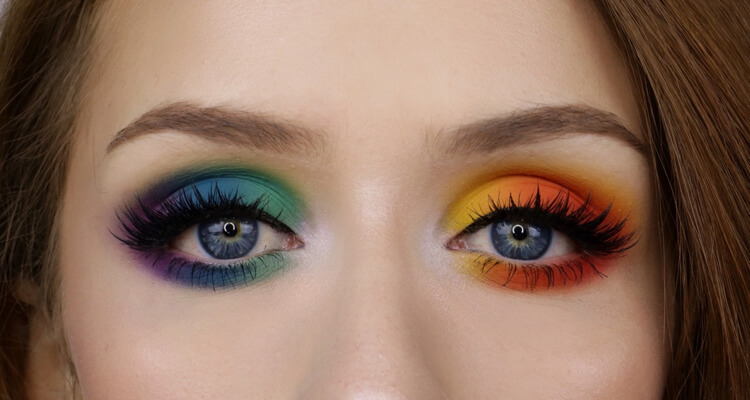 The two toned eye look comprises of selecting any two colours of your choice (complimentary or contrasting) and blending them in at the meeting point to create a flashy yet creative eye look. The two-tone eyeshadow look is one of the most popular eyeshadow looks and a fun way to upgrade your eyeshadow game. Two eyeshadows fusing to create an interesting gradation look that’s beautiful and glamorous. It makes your eyes pop and does not require a lot of products. You just need to be good with blending! But then, makeup is all about how well you blend, eh? 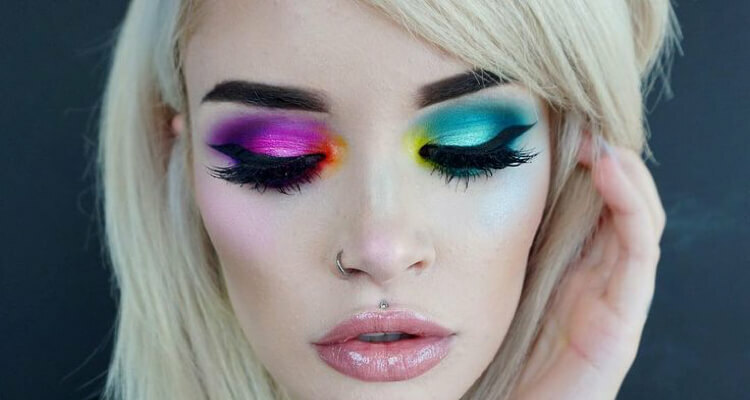 Makeup lovers have been experiment with a lot of colours to create stunning dual tone eyeshadow looks. There are no set rules and you can go crazy with colours and textures. 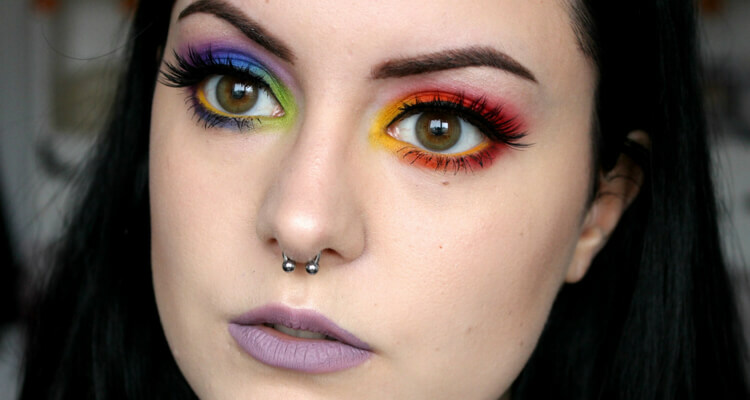 Try the two tone eyeshadow look fr a change and decide if you want more of it. Start off with some foundation on your eyes to neutralise any colour difference and inconsistencies. Wait for the foundation if liquid, to dry completely. Pick any two shades of your choice. Remember not to pick over-contrasting shades. Complimentary colours or hues of the same colours work best. The list goes on and these colours are classic combinations. Once you’re done with the selection, Start by applying one of the shades (preferably the light one) with a flat brush to the inside of your eyelid starting from your tear duct all the way to the centre of your lid. Next, grab hold of your second shade and apply from the centre till the corner of your eye. Remember to use a round blending brush to blend out the second shade a little above the crease of the eye. Use your blending brush to blend both the colours together in the centre so that they merge and your eye looks balanced and doesn’t have harsh lines between the two colours. Apply your highlighter right near your tear duct to give a dimension and glow to your eye look. You can also highlight your brow bone because why not? Apply mascara on your lashes to complete your look and don’t stop taking pictures after that. Watch our FB video for a complete breakdown of steps and products used to create the dual eyeshadow look.